Here is our new marketing piece- comments?? An amazing second day at the national 2010 SBIR Conference in Hartford, CT through today. Supporting Small Business Innovation and Research, The SBIR conference attracted an amazing mix of technology entrepreneurs, researchers, government officials, media and investors. Connecticut Governor Jodi Rell spoke at the luncheon and was gracious enough to meet with several attendees to intently listen to their possible solutions to existing problems and their visions for the future. Her wonderful and supportive colleagues were busy exchanging business cards and meeting with attendees. Later in the evening the SBIR Poster Exhibit opened and we were fortunate to have the opportunity to exhibit along with dozens of other technology companies. So far we have had an excellent time and met many wonderful folks! This is an abbreviated post because I am running out the door to, and I never imagined I'd say this, "have a meeting with the Department of Homeland Security." SBIR is a great way to interact with our government and, possibly, do business together. YourNurseIsOn.com CEO Matthew Browning will present the IntelliBlast Communications Platform at The National Small Business Innovation Research (SBIR) National Conference being held in Hartford, CT from April 21 to April 23, 2010. 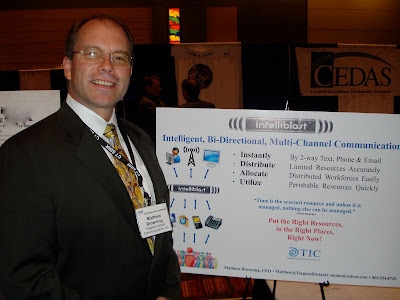 Mr. Browning calls the IntelliBlast Communications Platform “the brains behind the beauty” of YourNurseIsOn.com. 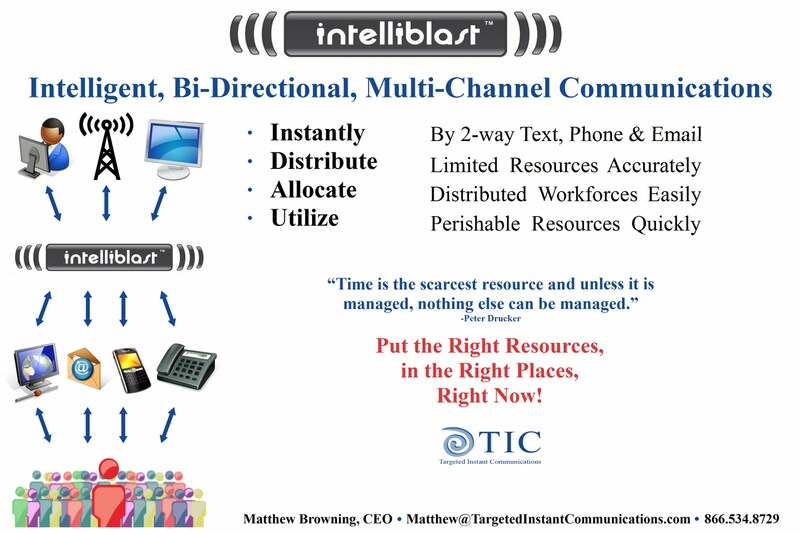 A sophisticated, yet easy to use, intelligent, 2-way, multi-channel communications modality that increases productivity, streamlines operations and improves outcomes, IntelliBlast has applications to any real-time business. 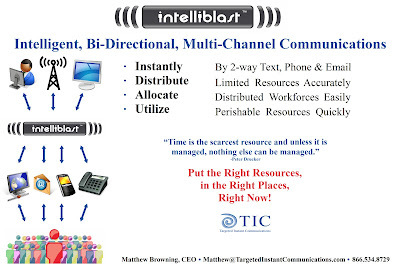 The ability to instantly allocate a distributed workforce is just one amazing function of the IntelliBlast system, it can also instantly disperse perishable resources, initiate by human, sensor and software inputs, and can effortlessly handle and monitor your routine, emergency and continuity of operations communications. 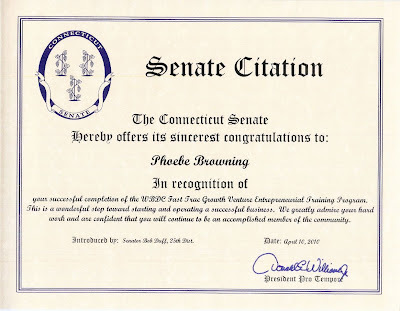 YourNurseIsOn.com would like to congratulate our CFO Phoebe Browning who has been recognized with a Connecticut State Senate Citation, by Senator Bob Duff, for her activism and involvement with Connecticut’s Women’s Business Development Center (WBDC). 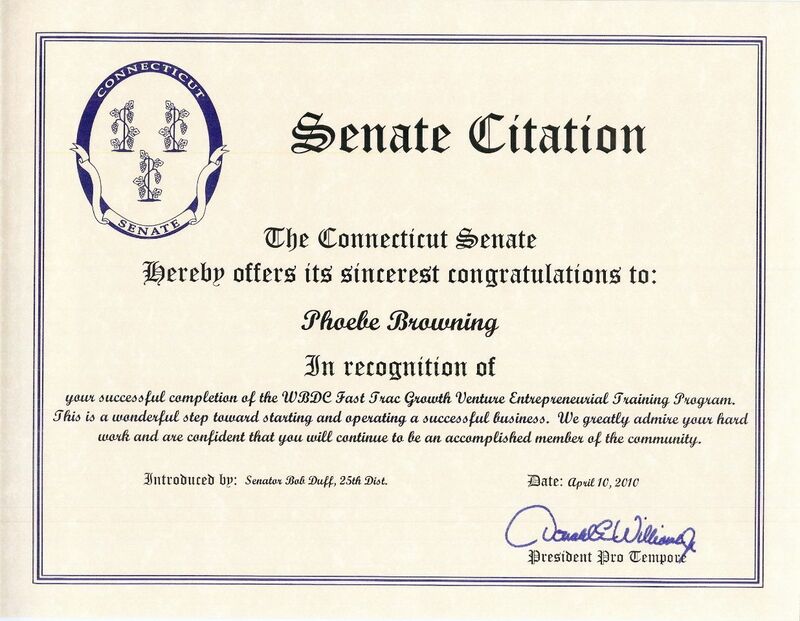 Mrs. Browning is a leading proponent of Women’s Entrepreneurship and Innovation in the state of Connecticut and a proud supporter of science education for young women and girls. Phoebe also completed their ‘Fast Trac Growth Venture Entrepreneurial Training Program’ successfully. Congratulations Phoebe on a job well done! The Women's Business Development Center (WBDC) is a 501 © 3 non-profit micro-enterprise development organization whose goal is to increase economic independence for women. This is accomplished through entrepreneurial education, small business training and promotion as well as access to applicable resources and support. On the early spring morning of April 9, 2010, thousands of hours of preparations, years of healthcare experience and ideas for the future of healthcare trickled into the Omni Hotel, located in New Haven, CT, for Yale Healthcare 2010. Presented by Yale’s School of Management and titled “Re-Forming Healthcare: Excelling in a Transforming System,” it was chaired by students from The School of Management (Randi Wiggins), The School of Public Health (Diwen Chen) and The School of Medicine (Sachin Shah). It must be said that these co-chairs of the event, and their legion of student volunteers, organized an amazing event that was very well produced, kudos to the team. Nearly 500 attendees from numerous industries arrived from their many home bases to begin the day with a healthy breakfast and some equally healthy networking. As a part of YourNurseIsOn.com, I was excited to be there as an alumnus, an attendee and a panelist contributor and met many wonderful people in the process. A warm welcome was extended by the Yale School Of Management Dean, Sharon Oster, to get things started. The morning keynote was delivered by the knowledgeable and witty Gail Wilensky, a senior fellow at Project Hope. Her clever insight into the recently passed ‘Health Reform Bill’ was well received by the audience, and was a great start to the day. The session titled “#8: Financing Innovation in Healthcare” was led by Christine Gallagher of SunTrust Robinson Humphrey and Chip Skowron of Morgan Stanley. It was a well attended session that set out to determine the next “billion dollar products” in the healthcare arena, with a focus on pharmaceutical ‘innovations’, new medical devices and novel treatments. Cheap genome scanning seemed to be one of the few consensuses arrived at, with ‘nano-technologies’ in a generic sense, a close second. Medical device advances will also be interesting to watch in the near future with joint replacements and cardiac technologies shining brightly. I wouldn’t expect to much investment from these larger firms in the popular wellness software and social media space within healthcare at this time- they seem stuck in the Big Pharma model of investing for now. Also, a disturbing sub-trend of big investors ‘chasing growth’ in developing countries with ‘huge markets’ by firms that benefit directly from US taxpayers bailouts was touched upon repeatedly. That trend could prove harmful to American healthcare innovation. After the morning breakout sessions were finished, many lively lunchtime discussions could be heard in the Grand Ballroom. New acquaintances were made and information from the morning discussions was shared by all. After lunch was finished we transitioned into the Executive Panel discussion with Robert Galvin (General Electric), Michael Chernow (Harvard Med School), Sam Ho (UnitedHealthCare), Harlan Krumholz (Yale Med School) and Wendy Warring (CT Children’s Med Center). Having met Bob, Michael and Sam, I was looking forward to their insights and contributions. As expected, they were wonderful participants, but Harlan and Wendy were shining stars. Harlan’s encyclopedic knowledge and Wendy’s charming and fresh perspective (JD not MD) were excellent additions to the discussion. I look forward to meeting them both. The afternoon breakout sessions can be found HERE (scroll down). As CEO of YourNurseIsOn.com, I was invited to participate in breakout discussion #10 titled “Front-line Providers: Increasing Supply, Incentives and Utility.” Joining me on the panel was Mary Warner from the Physician’s Associate program at Yale’s School of Medicine and Bernadette Thomas who started Community Health Center’s Nurse Practitioner Residency Program. Moderated by the wonderful Taffany Hwang, our discussion led off with Mary discussing the background of education and practice for nurse practitioners and physician’s associates as well as their current utilization and future needs. Bernadette followed with CHC’s excellent nurse practitioner residency program to transition new providers into competent practicing professionals that stay in practice. My contributions were focused on the utilization, recruitment and retention of healthcare providers. 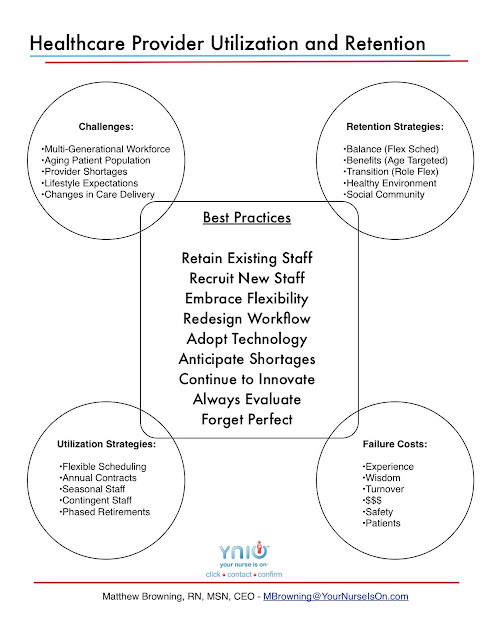 Instant allocation of a distributed workforce, flex scheduling for recruitment and retention, role transitioning and multi-generational workforces were the themes. The audience participants had many insightful contributions, an acute awareness of the challenges we are facing and an enthusiasm to address these issues head on. YourNurseIsOn.com, as a company and myself, personally, were honored to participate in this discussion and thoroughly enjoyed the entire experience. 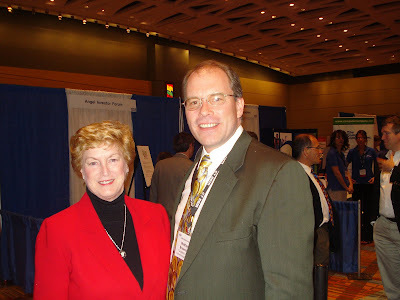 Yale Healthcare 2010 was an excellent event, many were met, much was learned, and the next one remains anticipated. Thank you to all who contributed to and made this event a success. 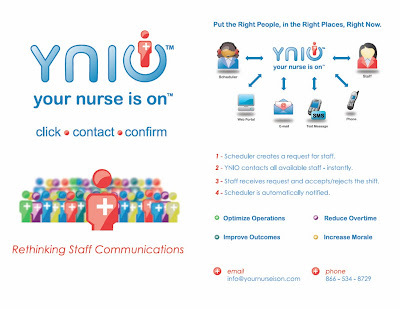 YourNurseIsOn.com would like to extend a special thanks to Taffany Hwang and Mark Schlangel for all of their assistance. YourNurseIsOn.com CEO Matthew Browning has been invited as a panelist at Yale HealthCare 2010 to discuss "Frontline Providers: Increasing Supply, Incentives and Utility." Mr. Browning is pleased to join such a distinguished panel to discuss the linchpin of healthcare delivery- Frontline Providers. The interactive panel will explore the supply of providers such as doctors, physician assistants and nurse practitioners and nurses; incentives to encourage more providers and our current utilization and retention strategies. This panel is Breakout Session #10 in the afternoon. Please Join us on April 9, 2010 at The Omni Hotel in New Haven, CT for a great event!